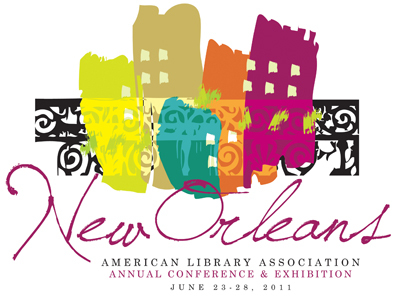 And I'm off to New Orleans for the 2011 American Library Association Annual Conference! Although I have my beautiful plaid netbook this year, I can't promise there will be a lot of blogging here during the conference. I CAN promise that there will be TONS of tweeting, so follow abbylibrarian on Twitter (and follow hashtag #ala11 in general). To all attending Conference, travel safe and COME SEE MY POSTER SESSION. To all living vicariously, I will try my best to take lots and lots of pictures. Laissez les bon temps roulez! !